Added on 03 September 2018 . By Georgia Evans. Matt Whiley has often been praised as one of London's top mixologists, the head of drinks consultancy Talented Mr Fox has five award-winning bars in the capital; Purl, Worship Street Whistling Shop, Dach & Sons, Talented Mr Fox at 1 Leicester Street, Peg + Patriot, and Scout. Since its opening, Scout has become a favourite for the ethically-minded drinking community as it champions sustainability and local produce. After making waves in Shoreditch, Scout is now relocating to a new home in Hackney with a second bar opening underneath called Gold Tooth. 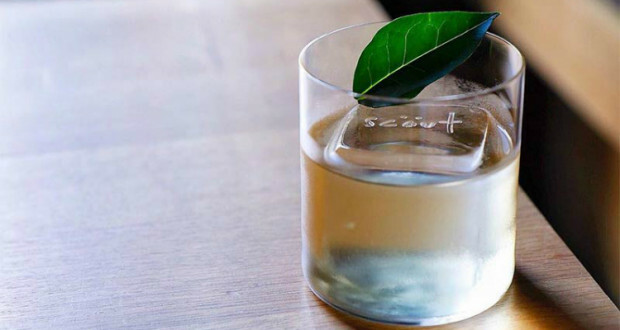 Scout's menu features 12 cocktails made from foraged ingredients and superb spirits, as well as signature ferments, British beers and a daily selection of wines. The basement venue, Gold Tooth, will offer four interchangeable cocktails on tap for those seeking a quick fix. With a larger capacity than its previous Shoreditch location, Scout welcomes an expanded menu of food offerings, with the opening of a new kitchen. Diners can expect more zero-waste treats courtesy of an undisclosed, recognised chef of the two Michelin-star chef Hélène Darroze at The Connaught. There will also be a growing focus on art with London-based artist The Rugman's work on display and a monthly evening gallery.